Why Rishikesh Is Considered The Yoga Capital of the World? Known as the World Capital of Yoga, Rishikesh is the main destination when it comes to learning and practicing yoga. The Beatles put the spotlight on Rishikesh when they visited this small Indian city back in 1968. But the truth is that saints, yogis and practitioners have come here for ages to deepen their yoga, become instructors, or even attain enlightenment. And what’s the reason behind its yogic & spiritual significance? 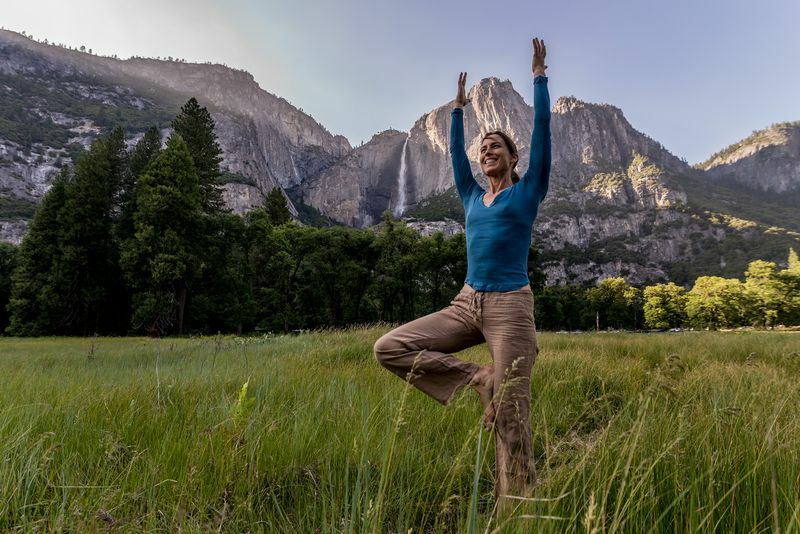 To begin with, it is believed to be the birthplace of yoga, but here are 7 more facts that have put it above all other places on Earth! Rishikesh is one of the holiest places for Hindus. That’s why sages and saints who master the yogic arts have been visiting the city for thousands of years. Reputed yoga gurus and spiritual leaders like Guru Vashishtha, Adiguru Nilkantha, Swami Shivanand, Swami Dayanad Saraswati, Jatawale Baba, Sri Sri Ravi Shankar, Swami Sukhdevanand, and Swami Aatm Prakash have chosen Rishikesh for their spiritual practices. For that reason, you can find more courses for yoga teacher training in Rishikesh than anywhere in the world. You simply learn from the best! Rishikesh is located on the banks of Ganga (or Ganges), the most sacred river to Hindus. It’s believed that the spiritual energy of Rishikesh is elevated on account of Ganga, or Mother & Goddess Ganga as locals refer to it. And if you want to bathe in its holy waters, here you can do it since the pollution hasn't affected this area. Thousands of yogis and gurus have spent their lives of austerity here and all of them have added to the spiritual energy of Rishikesh that John Lennon, Mike Love, The Beach Boys, and the Prince of Wales have spoken about on many occasions. 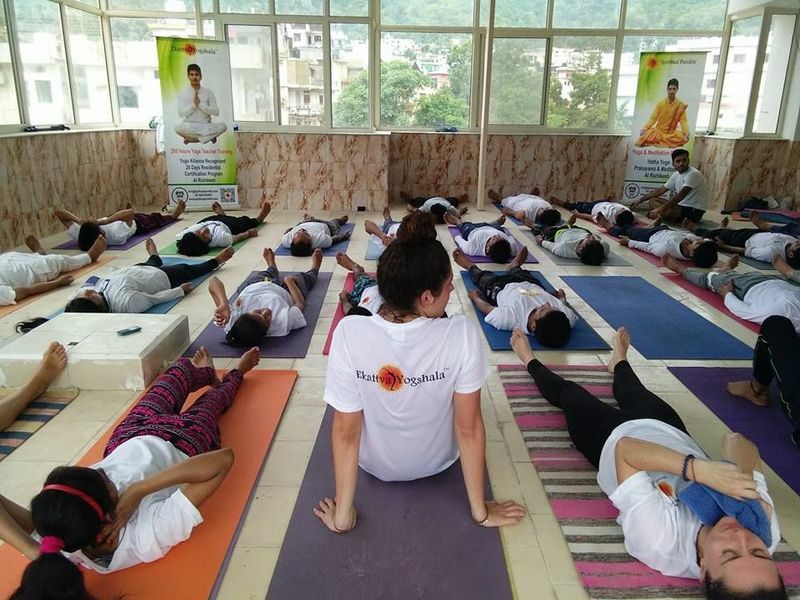 Because Rishikesh has such a rich yoga and spiritual heritage, it is home to some of the most reputed yoga schools and ashrams in India and all over the world. 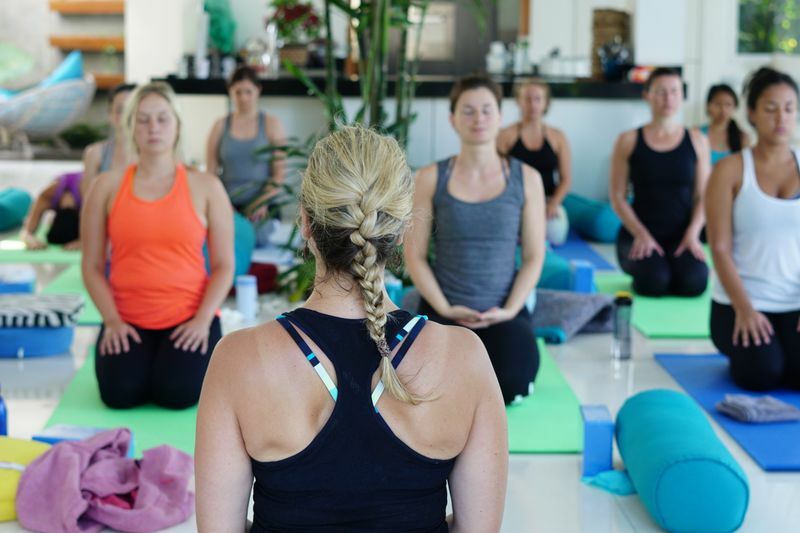 Whether you want to experience yoga by attending a couple of classes or getting a yoga teacher training certification, there is no dearth of options when you are in Rishikesh. On the contrary, the problem might be having too many options. But if you’re planning to come to Rishikesh, just do your research and you’ll know how to choose the best yoga teacher program. 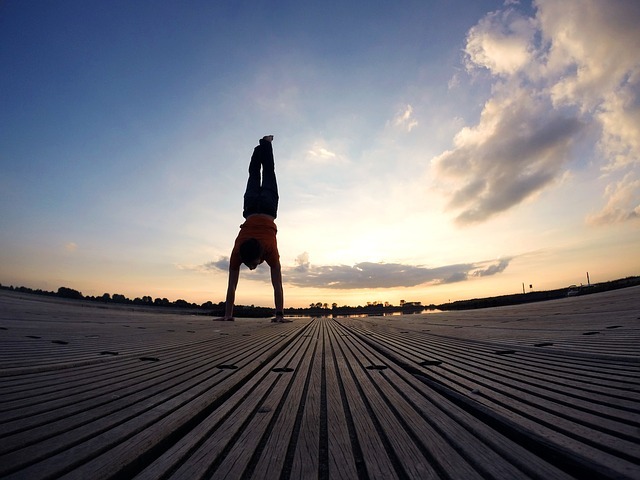 Check out our guide and find out why you should do your yoga teacher training in Rishikesh. Located in the foothills of Himalayas, Rishikesh is home to lush greenery, pristine waters, and fresh air. 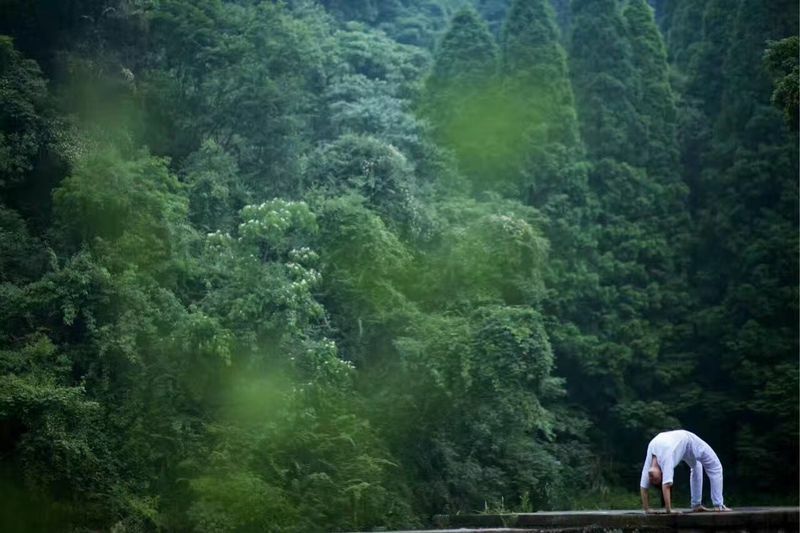 Thankfully, local authorities have taken special steps to check pollution and make sure that the natural beauty of the city remains untouched. Be it treks, climbs, meadows, camping, rafting, temples, or cultural fairs, the entire state is an amalgamation of many wonders. 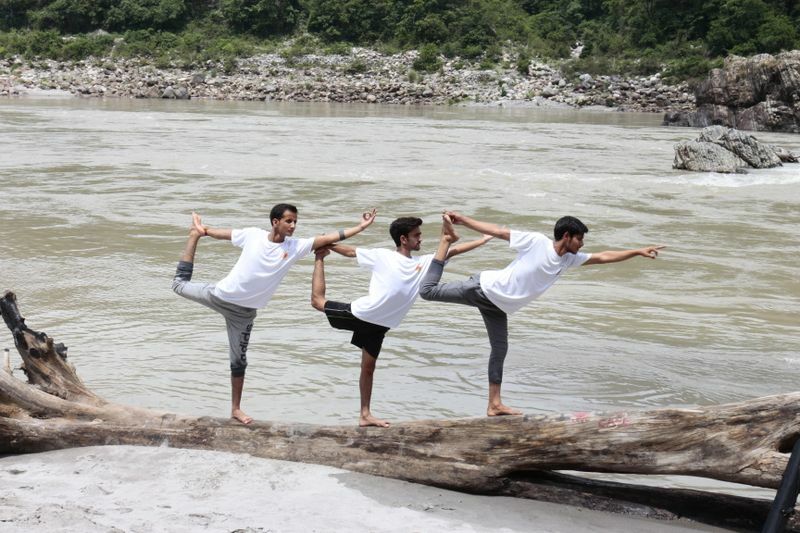 In short, Rishikesh is not just about yoga, but a wholesome experience for all. 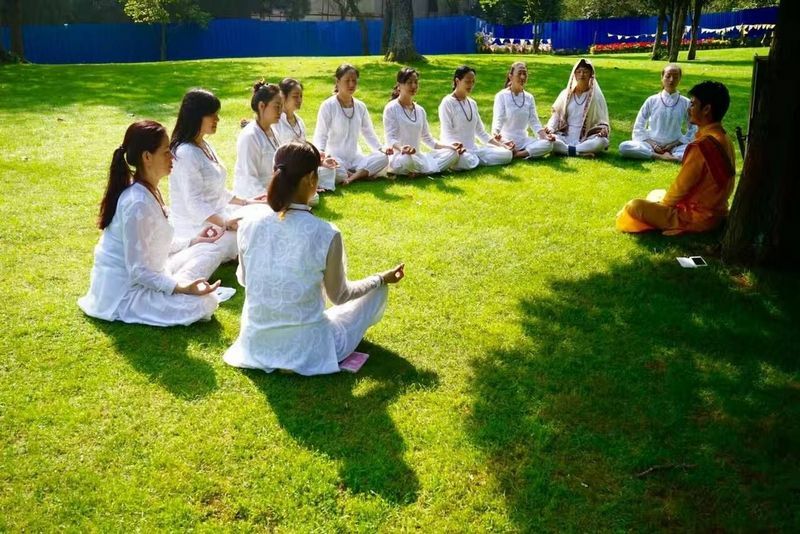 While some yoga schools are located in the middle of the city, there are many well away from the hustle and bustle of crowds to provide the perfect environment for yoga enthusiasts to learn and practice in peace and calm amidst nature. And that's how it should be! Yoga lovers from across the world visit Rishikesh and stay for a long time to experience yoga, nature, and spirituality without having to worry about their finances. That’s because foreign currencies – especially the Euro and Dollar – have a considerable advantage over the Indian Rupee. So, expect lots of affordable yoga retreats in Rishikesh. Indeed, a month-long yoga teacher training that might cost over $4000 in the US, can be completed at less than half the cost here. Its status as the Yoga Capital of the World attracts tens of thousands of visitors every year. With yoga enthusiasts from different cultures, countries and backgrounds gathering in this magical place, it becomes a wonderful city to exchange ideas and learn from each other. It’s also not a secret that getting an Indian visa is relatively easy for most nationalities. Highly renowned yoga teachers and practitioners consider yoga more than a medium to physical fitness and wellness. If that’s what you’re looking for, all yoga ashrams and retreats in Rishikesh predicate the same ideology. One could say that Rishikesh is home to the most authentic yoga in the world. Ready to visit this amazing place? Take the next step and take a 200-hr yoga teacher training in Rishikesh! Manohar Prasad Nautiyal is an alumnus of the Parmartha Niketan Ashram Rishikesh. He is a Yogi, Meditation Master and Gifted Singer who is driven by his passion to serve humanity and make lives better. 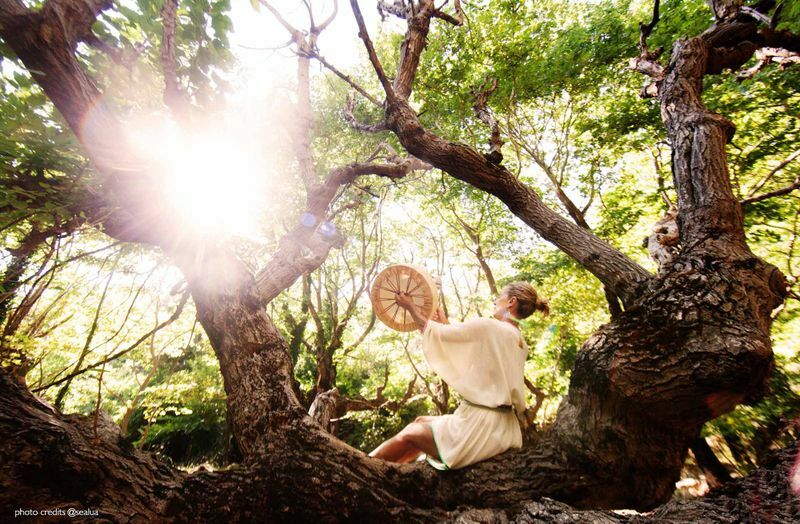 In that pursuit has founder Spiritual Punditz – a wellness venture. Ekattva Yogshala under this venture is a Registered Yoga School and is conducting monthly 200 hours Yoga Teacher Training Certification Programs and Weekly Specialized Yoga Retreats.